I listen to A LOT of kids music. I have some I like more than others. One of the things I remember about kids music when I was a kid was that quite a bit of it was scripture based. There is so much good christian worship/music out there for kids but I started thinking the other day that there isn’t a large amount of really cool scripture based worship songs. Using music to teach theology has been something the church has used for hundreds of years. 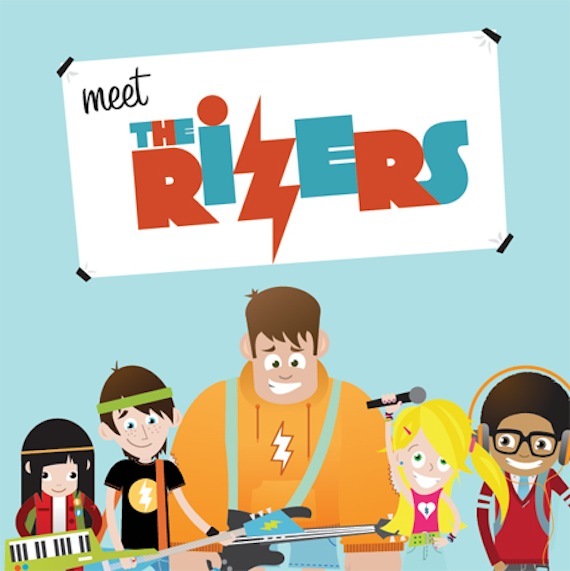 Enter the Rizers – not only in their music bible based but their music is very current your kids will love it. Actually you will love it. I think I listen to it more than my boys. With catchy music and no miss lyrics buying the Rizers for your kids is a no brainier. I loved the whole CD they do a great job picking scriptures that go along with some of the things kids struggle with most, fear, loving others, and many more. You can buy the whole album on amazon for just 7.99. Don’t believe me? Listen to a few full length samples yourself.